I went outside today and saw that our radishes were all bursting from the ground, ready to be picked. We had tons! I got to thinking. What are radishes even good for? 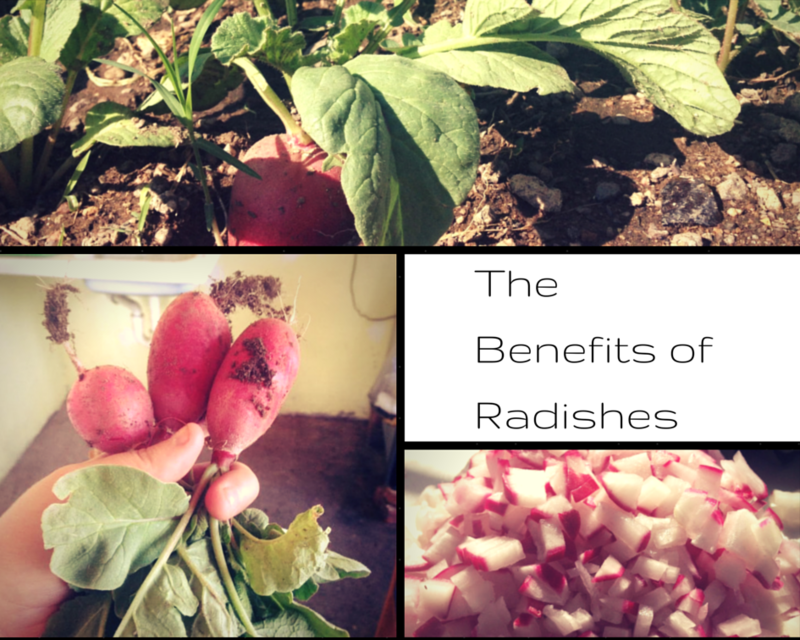 So I did some research and found so many benefits that I think radishes will be a common ingredient for us now! Not to mention we have hundreds growing… There were so many benefits! Who would’ve thought so much good could come from this tiny vegetable. 4. Urinary Tract Issues. Radishes clean and clear our your liver and kidneys. They cleanse the whole tract so you have no more crazy infections goin on down there. One thing I love about Mexicans is that they use EVERYTHING. They use every part of a plant, an animal, etc. So I also needed to find out if we could eat the leaves and live. Turns out that YES you can eat the leaves, in fact, you should! They are the most nutrient dense part of the plant.So don’t throw them away! 1. Helps Rheumatism: mix the extract of the leaves with the same amount of sugar. Add a tiny bit of water and you will have a paste. Rub this on your soar knee joints from the disease and this will soothe the pain and decrease swelling. 4. High in Fiber…you know what this means!!! It helps you poo! No more constipation! They are so good for you!!! 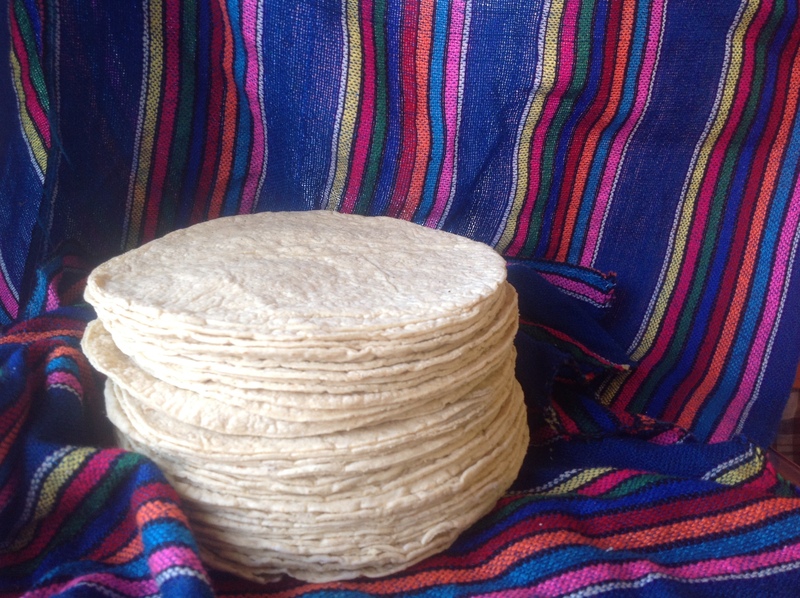 So I had to think of an amazing dish for Comida so that they wouldn’t all go bad. As I looked on the shelf I had a brilliant idea of what to make and thought I would share it with all of you. First you’ll want to wash the lentils. 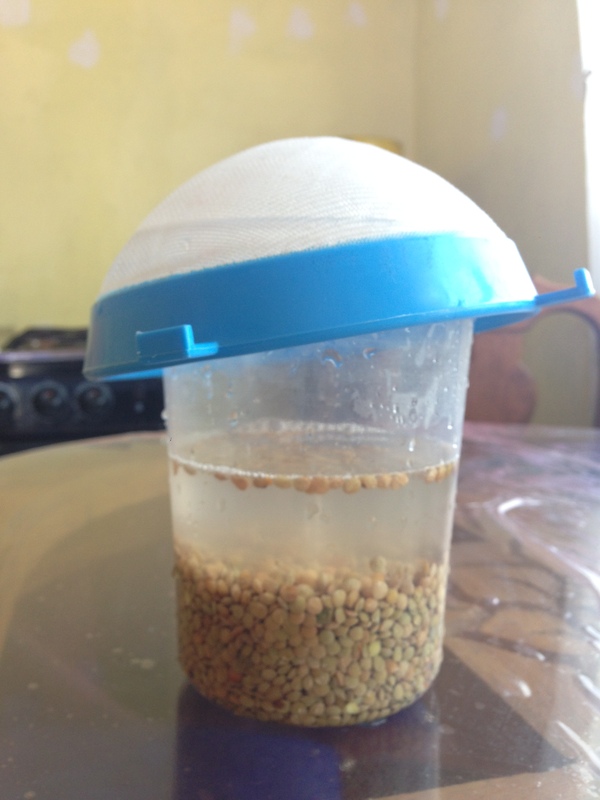 There are some types of lentils that need to be soaked for a time before cooking, but I’m not really a fan. 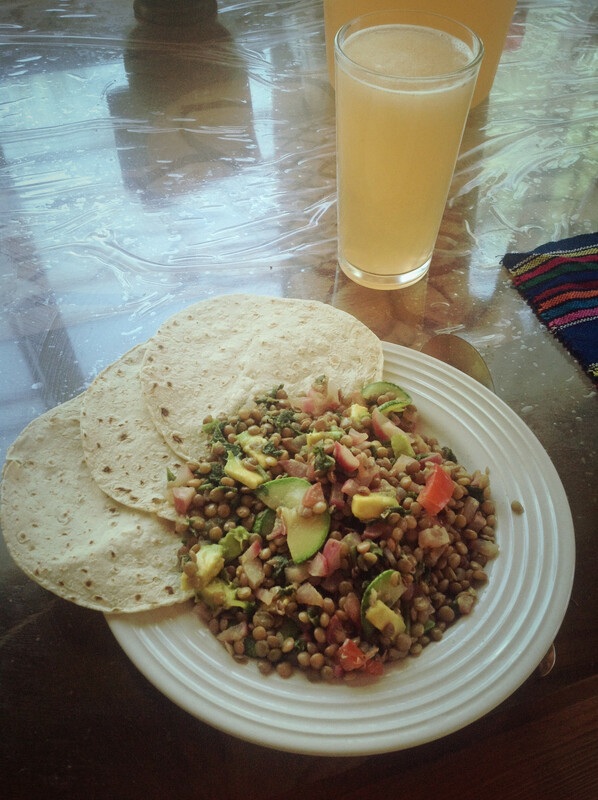 So we just use plain ‘ol brown lentils here in Mexico. Next, I washed the radishes from our yard and diced them. Make sure you save the leaves. You will be using them in the next step. Saute the radishes with some vegetable oil until they are nice and soft. Rinse off the leaves and chop them up like you would cilantro. Here we need to soak our leafy foods with a couple drops of disinfectant. After is soaks for about 10 minutes then strain the leaves in a colander. Then just pop them in the boiling lentils so they can cook for a little while! This will get rid of the bitter, leafy taste. Let them boil for about 10 minutes together and then strain the water out of the pot. Then set them aside so they can cool down a bit. 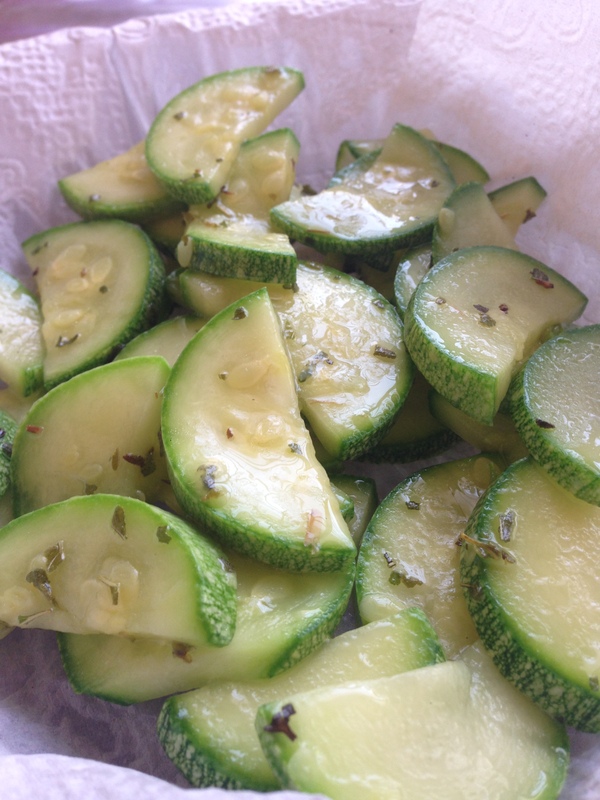 While the radishes are cooking, wash and slice the zucchini. These also came from our garden!! Saute these babies in a little bit of veg oil and season with salt and oregano. Once they are cooked through, scoop them out of the oil onto a toweled plate to get rid of excess oil and set aside. You don’t want your zucchinis to just taste like oil. That’s nasty. 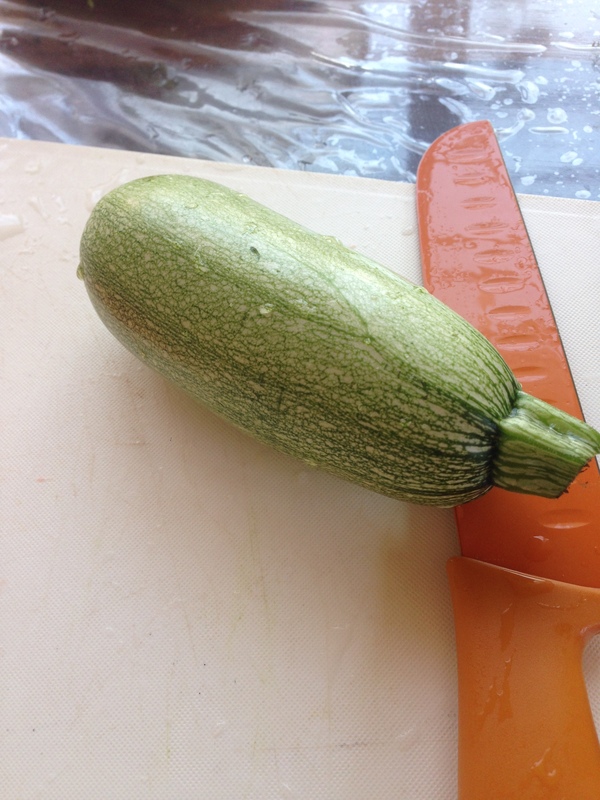 Once the zucchinis and radish are cooked you are ready to put it all together. 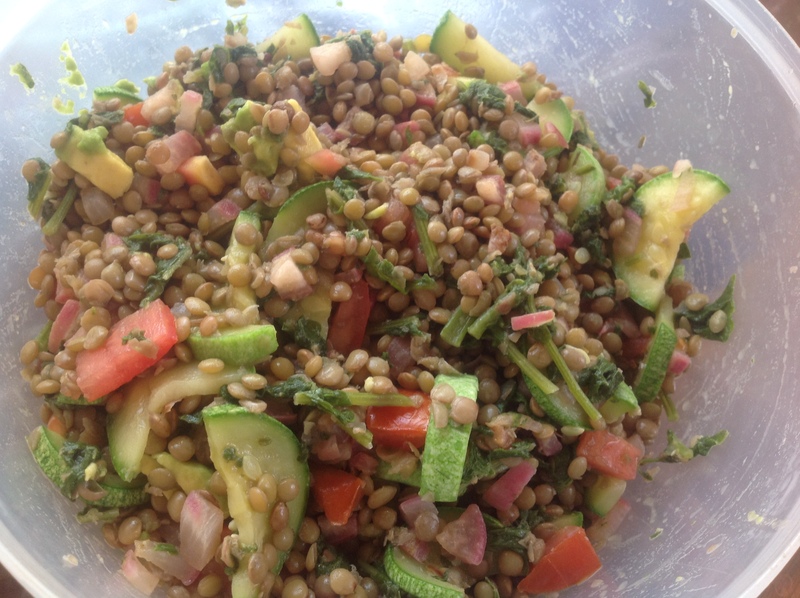 Combine the lentil mix, radishes, and zucchini into a bowl and mix together. I added fresh tomato for a little boost, but this part is totally up to you. Just sayin though…it is delicious.